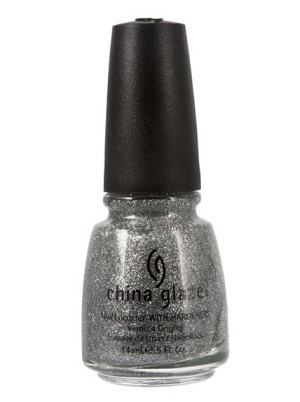 China Glaze Nail Polish, Silver Lining, 833, .50 fl. oz. Dense silver micro-glitter in a clear base.